The Portland Timbers report for training camp next Monday, six weeks and two days after they fell at Atlanta United in the MLS Cup final. Going into this week, most of the roster news has been about departures. 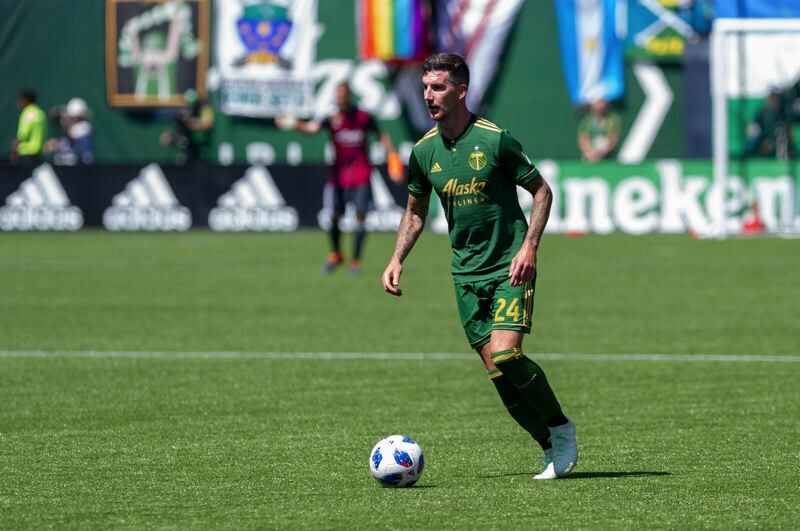 Most significant of those was last week's announcement that central defender Liam Ridgewell will not return after 4 1/2 productive seasons in Portland. In multiple ways, Ridgewell will be difficult to replace. On the field, the veteran English center back was an important and vocal organizer and a reliable defender who was among the better MLS players at his position with the ball at his feet. The arrival of Ridgewell during the 2014 season was the moment the Timbers became a club capable of competing for a championship. Next to the acquisition of Diego Chara early in the team's first season and of Diego Valeri prior to the club's third season, Ridgewell is the most important addition in Timbers MLS history. During his time in Portland, the Timbers joined the upper echelon of MLS clubs. They made two league championship matches, winning one. In 2018, Portland was at best inconsistent on defense until Ridgewell reclaimed his spot next to Larrys Mabiala to form the foundation of Portland's playoff success. Ridgewell turns 35 this year, and his relationship with coach Giovanni Savarese was tested early last season when Ridgewell was left out of the gameday lineup for an extended stretch. According to MLS Players Association figures, Ridgewell earned $700,000 last season (Mabiala earned $750,000, giving Portland two of the top 13 defenders in base salary). Parting ways with Ridgewell will give GM/president of soccer Gavin Wilkinson more space to work with as he shapes the roster. • The Timbers selected Michigan State forward Ryan Sierakowski and Saint Louis University defender/midfielder Lennart Hein during the first two rounds of the 2019 MLS SuperDraft on Friday in Chicago. Both figure to spend their rookie season with Portland's United Soccer League team, Timbers 2. Rounds 3 and 4 of the annual college draft were held on Monday by conference call. Sierakowski, 6-1, 170, played all four seasons at Michigan State and as a senior helped the Spartans reach the national semifinals. As a senior, he had eight goals and five assists in 23 games and finished his career with 33 goals and 16 assists in 82 games. Hein, 6-2, 195, played four seasons at Saint Louis after growing up in the German national youth system through the under-18 level. He played in 65 matches (64 starts) and as a junior and as a senior was first-team all-Atlantic 10 Conference. Hein had six goals and five assists for the Billikens. • Two Oregon State Beavers were drafted in the second round of the SuperDraft. Hassani Dotson, from Federal Way, Washington, who played every minute in midfield for OSU as a senior, went to Minnesota United with the 31st pick. Don Tchilao, a forward from Chandler, Arizona who had seven goals and nine assists as a senior, went to the Los Angeles Galaxy with the 36th pick. • The Portland Thorns might have gotten a steal by drafting Penn State midfielder Emily Ogle with the 24th pick in last week's National Women's Soccer League Draft. Ogle, who has been a regular member of the United States youth national teams and played in the 2016 under-20 World Cup, was projected to go as high as No. 5. With the Thorns' roster, Ogle might have to wait her turn to crack the lineup. None of the three players drafted by the Thorns in 2018 played a minute last season. Then again, with key players expected to be gone for most of the spring and into the summer for the Women's World Cup, perhaps Ogle cracks the lineup quickly. A 22-year-old from Strongsville, Ohio, Ogle started 100 matches in her four seasons at Penn State. A three-time all-Big Ten player, she won a national championship with the Nittany Lions in 2015. She had 21 goals and 21 assists in her career. • Jazmin Jackmon was the first Oregon Duck to be selected in the NWSL draft. The defender from Pasadena, California, was picked 21st overall by the Houston Dash after starting all 19 matches at outside back for the Ducks in 2018.